Latte Café 32 GB Video MP3 4.3″ Touchscreen Player: huge screen, great gift! 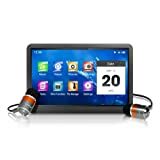 Latte Café 32 GB Video MP3 Player offers wide audio and video format support, a voice recorder, and bonus features like a calendar and stopwatch. Add sleek design and an attractive metallic/gray finish, and you’ve got a perfect PMP package. Enjoy your favorite videos or pictures and navigate with ease on the Café’s 4.3-inch touchscreen display with 480 x 272 (WQVGA) pixel resolution. The Latte Café 32 GB Video MP3 Player features amplified dual speakers so you can share music or videos with friends. Throw on headphones for private listening. While some devices limit you with their skimpy format support, the Café will play MP3, WMA, FLAC, AAC, and APE music formats for about 8-10 hours on a single charge. Standard play modes like repeat and shuffle are included, and of course the Café supports ID3 tages (versions 1 and 2) for displaying song info while you listen. Take your favorite videos with you and enjoy them anywhere with the Café’s brilliant screen. You’ll get about four hours of video playback on a single charge. The Latte Café 32 GB Video MP3 Player supports AVI, RM/RMVB, and FLV formats, so you can enjoy more video with less conversion. Latte Café is now available with 27% saving at US $ 181.49! The Sony NWZ-W202 Walkman W-series MP3-player features superior sound quality with 13.5 mm EX headphones. It also incorporates a new ZAPPIN function for easy searching of and listening to songs. The function automatically detects and plays the main chorus part of each track to help you find the song you want with just a few touches of the player’s jog dial. There is also Sony’s Unique Spiral form headphone that ensures a comfortable fit. 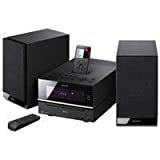 Besides that, the Sony NWZ-W202 comes with a supplied Content Transfer software that enables easy drag and drop transfer of non-DRM music files to your Walkman from online music services such as iTunes (and that’s a real plus!). Free yourself from the hassle of headphone cords and appreciate your music with the new Walkman NWZ-W202. This fresh, new headphone-style Walkman offers the Zappin function with a Jog Dial Operation, a unique spiral form that eliminates messy cords, and a 3 minute quick charge for 90 minutes of playback. The Sony NWZ-W202 Walkman MP3 player is a headphone-style “Walkman” wearable MP3 player that keeps you free from cables. It is compact and lightweight, making it comfortable to wear. The Sony Walkman W-series MP3-player is available in five fashionable colours, consisting of black, white, pink, green and violet. Quick charge: 3 min. for 90 min. playback / Full charge: 12 hrs. in 90 min. Grab the Sony NWZ-W202 now and start listening for US$ 69.95! Splash music with Dolphin WaterProof MP3 player 1GB Memory! The Dolphin WaterProof MP3 player 1GB Memory is a ultra light weight, ultra compact player that weighs only 25g with a dimension of 60 x 20 x 20mm. Its cylindrical-shaped casing features a minimalist outlook with all control buttons located on one side, and the headphone jack on the other side. The earphone attaches to the player via a special screw-in jack to keep the device water-tight. Both the earphone and the Dolphin player were tested to comply with IPx7 international water resistant standard. The earphone employs a special non-woven fabric membrane to keep the speaker vibration plate dry while maintaining a high quality sound output. As for audio files, you can drag and drop media files to and from the Dolphin without a media manager in sight. It officially supports WMV and MP3 files, but it also plays back WAV files! New iPod shuffle 3rd generation 4 GB with VoiceOver kit released! Apple has released an all-new iPod shuffle with an audio-based navigation system called VoiceOver. name of the song and artist, playlist information, and status information such as battery life. only, and is available now in silver or black for $79. There’s a saying that 2 is better than 1. When 2 can get together it’s special. The new JVC NXPN7 clock radio is very special. 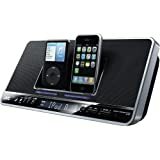 It accommodates two iPod players side-by side with its integrated dual-dock technology, charging them simultaneously and offering playback from each through the dock’s speaker system. Supplementing iPod playback is an AM/FM tuner, and adding to the unit’s versatility is a clock and timer. In addition, there’s an analog audio input for connecting other devices for playback. Though the JVC NXPN7 handles two iPod players, it measures a mere 13 inches wide and will fit almost everywhere. It features sleek and sophisticated styling, with a black cabinet and speaker grille, and controls arrayed clearly and logically in a band along the bottom. Adding a bit of flair are two illuminated strips, one under each docked iPod. In the end: dual dock, great sound, nice look and lots of features! Price? $99.99 (just one time, not two!). The Creative Zen X-Fi has all the basic digital media player features you would expect to find in a non-iPod unit. This includes being able to play MP3, WMA (including subscription and protected), WAV, Audible and AAC audio files, displaying pictures and videos, a voice recorder and FM radio. It also includes WiFi capability and upgraded earbud headphones on the 16gb and 32gb models. There is also a stripped down 8gb that kind of seems like an after-thought. The included upgraded headphones are a nice touch. Most players come with very cheap, crappy, earbuds but headphones like these would probably set you back $50 if you purchased the separately. A great-looking compact system that fits anywhere, the Boston Acoustics Horizon I-DS2 features high performance full-range speakers, an acoustically tuned chamber for maximum bass, and a mini remote that puts you in control of your iPod from across the room. The Boston Acoustics Horizon I-DS2 delivers 60 watts of system power for room-filling, high quality sound. With a composite video output to let you show off photos and videos from any video-capable iPod on any TV and a USB connector to keep all your content in sync with iTunes, the Boston Acoustics Horizon I-DS2 is a talented performer with all the right connections. First and foremost, Boston Acoustics is an engineering company, and every Boston Acoustics system is optimized to meet the highest performance standards. Guitar Hero III: Legends of Rock , the third game from the Guitar Hero series is going to rock your face off. 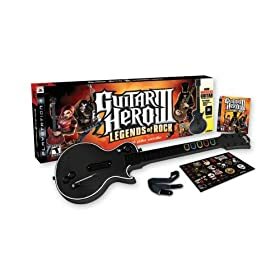 Barracuda (as made famous by Heart)Guitar Hero III: Legends of Rock comes bundled with the all-new Gibson Les Paul wireless guitar controller. The exclusive Gibson guitars include innovative features such as removable faceplates allowing fans to personalize their guitars making them their own, and a new button color design that will be integrated for an even greater authentic feel and rock experience. The TuneStudio lets you record directly onto an iPod. The Belkin F8Z109 TuneStudio Portable Digital Multitrack Recorder lets you record directly onto an iPod. The first of its kind, the Belkin TuneStudio is a four-channel audio mixer allowing for digital recordings made directly onto an iPod at 16-bit, 44kHz quality in uncompressed WAV format for crystal clear audio. Recorded items can be played back instantly. Audio is streamed though the built-in USB interface to and from a PC or Mac. TuneStudio also works as an external sound card, allowing input and output of audio to a PC from its connectors. Each channel has a 3-band EQ as well as pan and level controls. High-quality Phantom-power-enabled XLR inputs provide up to 60db of microphone gain; a high-quality stereo compressor with makeup gain enhances audio dynamics and keeps audio levels within the recording limits of the iPod. Compression is controlled by a single knob. The TuneStudio features LEDs to indicate master audio level, power status, peak indications, and compressor. Record Jam Sessions While on Tour or Create Podcasts on Location. The Belkin TuneStudio is compact and rugged, making it ideal for bands on tour, as it can withstand life on the road. Jam sessions can be recorded easily by simply attaching instruments and microphones to the TuneStudio. Podcasters can use the TuneStudio to record their shows either in studio or on location. * iPod video (5th generation–30 GB, 60 GB, and 80 GB). 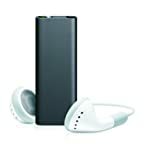 Amazon.com is running a promotion right now for the Apple iPod touch 32 GB player where you get a free 1GB iPod shuffle when you buy the largest capacity iPod touch selling for $494. The iPod shuffle 1 GB is about a $50 value, so this is not a bad deal. It only applies to the Apple iPod touch 32 GB though and not to the 8GB or 16GB models.